A rare opportunity for upscale 55+ living in Brandywine Hundred. Easy living is yours in this upgraded 3 bedroom 2 full and 2 half bath Village of Brandywine townhome. This home with stone front backs to woods and has a private setting on a premier location within the community. The 2 story entry leads into the cathedral ceiling living and dining areas which provides dramatic and open living space. The hardwood floor extends from entry into the dining area, living room, and sun room as well as the main floor powder room. The sun room provides access to the private rear paver, patio and gives an abundance of natural light to the main level. The upgraded island kitchen features oversized cabinets, granite counters, tile floor, and a pass through to the dining area. There is also a breakfast area, an extra wall of built-in cabinets, the laundry closet, and entry to the 2 car garage. The first floor master bedroom has a large walk-in closet and spacious master bathroom with two showers heads for a spa-like experience. There is a large loft area, 2 additional bedrooms, a full bath and a large, floored storage closet on the second floor (could be transformed into a home office). The finished basement with egress has built-ins, a half bath, and spacious storage area. 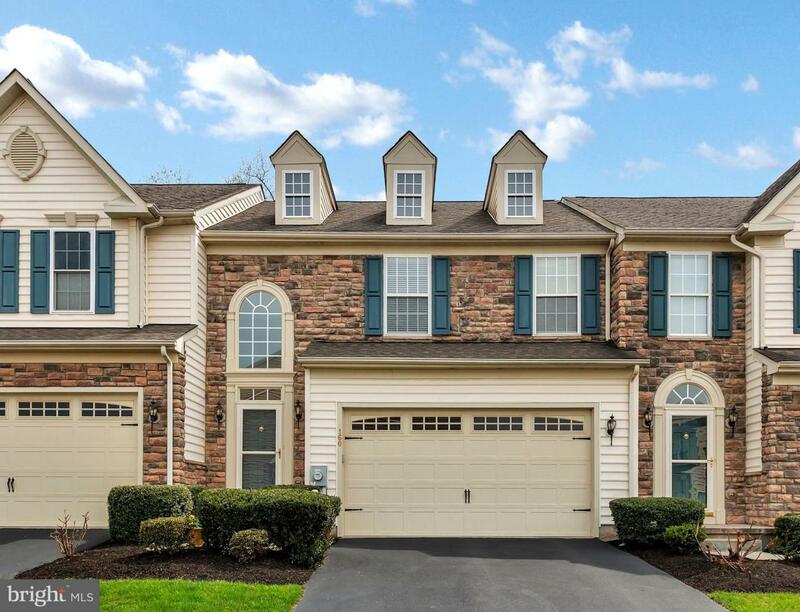 The Village of Brandywine is a sought after age restricted community within walking distance of the Brandywine Town Center, convenient to 202, I-95, and parks.